Happy Wednesday! Hope you’re having a great week! It’s been sunny and gorgeous here. I have been eating lunch outside whenever possible. There’s a grassy quad outside of Heavilon Hall, the main academic building for the English department where I spend most of my time, and it’s so nice to sit under the trees, soaking up the warm sunshine. Hard to believe it will all be covered in snow in a few months! As a California transplant, that is one thing I still can’t get used to — the extreme change in seasons. When it’s summer, I can’t imagine it ever getting cold. When it’s winter, it seems like summer will never come again! 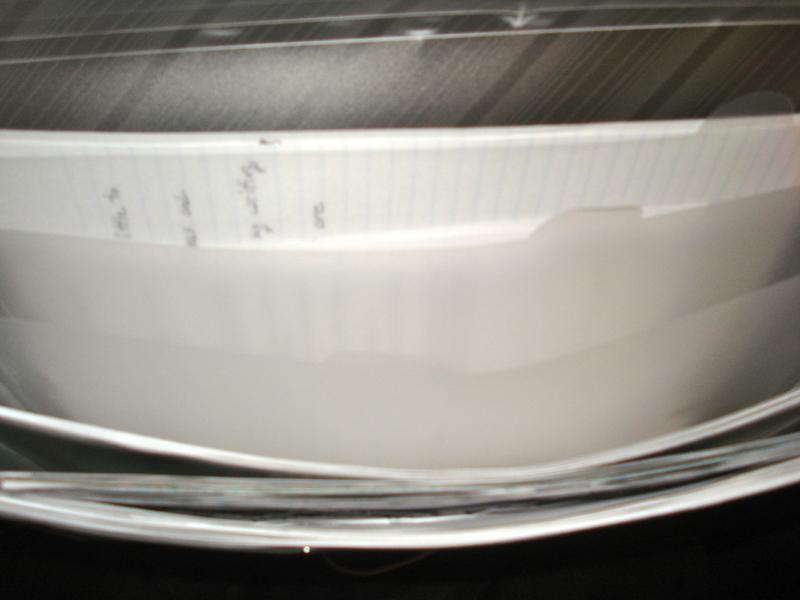 In previous semesters teaching, I tried to use a 3-ring binder to organize everything. It worked pretty well, but was a little bulky and cumbersome to carry around, and the cover started to fall off after about a year. It could also be a little tedious to have to 3-hole punch all my papers, and as the semester progressed I would always accumulate a pile of papers hanging out in the front pocket that I hadn’t gotten around to 3-hole punching and organizing into the proper divider. I found this one in the $1 section of Target. Look familiar? Yep, it’s the same style I used to organize my stationary stash, only this one is clear instead of blue. I like that it’s made of a durable-feeling plastic, has an easy-to-use elastic clasp, and folds up pretty narrowly to easily slide into my bookbag. – First section: Attendance sheet, class calendar, and handouts for the day. – Second section: Copies for the upcoming week. – Third section: Papers to pass back. – Fourth section: Papers to grade. – Fifth section: Professional Writing. This new system is working really well for me so far! It’s forced me to purge all my unnecessary & old papers, stay organized week-by-week, and keep everything in one place. And it’s easy to carry around with me, allowing me to get a lot of grading and responding to student work done in small snippets of time throughout the day. I find it a lot less overwhelming to grade in little-by-little chunks instead of in one big block of time on the weekend. 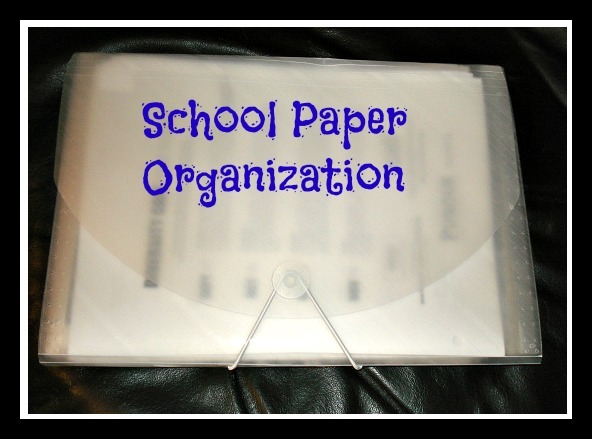 How are you getting organized this school year? What helps you stick with an organization system? I’d love to hear your tips for organizing the tons of papers that inevitably pile up during the school year!